Here is the background: I am enjoying a few days of holidays on a beautiful little island. I have a wonderful reef literally just outside my room with a 100 feet drop-off... great visibility, warm water, calm seas… freediving paradise (sorry, I am on my way back to a cold, rainy city if it is of any consolation). I freedive during a couple of days trying to marginally improve my diving here and there, but mostly just enjoy it... a lot. One night I do scuba and I notice that the dive master does not use his hands to equalize. I ask him about it while arranging the gear and he just says “oh, I do not know when it started, it just happens when you dive a lot”. I had never really thought about equalizing hands-free but a light goes on (slow brain): hands-free equalizing would be really useful in so many ways. Noise-clip is not an option for me, so after some research I realize BTV is what I need. I spend a lot of time researching the technique (doubting at times whether I should just be enjoying the diving instead), fail miserably to make any practical progress during some days and then finally manage to crack it and experience some of the most sublime diving of my life. I feel very lucky (as a few days is definitely not too bad) but with hindsight I think it is worth trying to learn hands-free equalizing even if it takes much longer. The purpose of this post is twofold. Initially I just wanted to thank DB members such as simos, cdavis or trux for sharing your experience and knowledge (sincere apologies to the many whom I forget). My gratitude is enormous and over the last few days there has been someone out there dedicating his little dives to you. Then I realized I could do something perhaps useful which is to explain how it all came together for me in simple steps. (Please do read the warnings at the end of the post before trying anything that I describe here. These steps assume that you have searched for and familiarized yourself with the threads that discuss equalization and BTV on DB such as this, this and this (although there are many others). There is a document in French here and translated to English here that I found of no help whatsoever, but it seems a classic so perhaps it was just me). (iii) humming feels like the sound is “loudly inside your head”. (2) Try to repeat and repeat that e-tubes opening action. Remember that under water it is not easy to open your mouth, so find a way that does not require that. Practice as much as you can. I am under the impression that the more you practice the subtler you can be with the “move” or effort you need: you seem to be able to open the e-tubes more by “thinking about it” rather than by “physical force”. Practice with your mask on too. (3) The first few days I tried in the water, it was a total failure. Nothing happened at all, no feeling whatsoever. I gave up after a while and just kept diving equalizing through Valsalva. Do not despair if this happens! When I was back in my room I kept researching and reading about other’s experiences. Read as much as you can, hear people describe it in different ways (you will see why in a moment). A few days later, I suddenly remembered something I had read: someone mentioned that pressure back from the mask was still needed to equalize hands-free. This is not what I had initially understood (not sure why I missed it, many others mention it): I just expected to open the e-tubes and the ears to equalize (as it happens on a plane). Apparently this is the way pure BTV should work, but it definitely does not work like that in my case (perhaps it will evolve as I train more which I plan to do). (4) I tried to experiment with that bit about “pressure from the mask” in the water to see if it made any difference. I started to combine blowing air into the mask without pinching my nose but “manually” applying pressure to hold the mask to my face with opening the e-tubes at the same time. After a few tries, I got a very mild feeling of opening the e-tubes compared to the yawn but… to my surprise one of my ears experienced a slight pop! I realized that this was the breakthrough I needed and that I just had to work on progressively reducing the pressure applied on the mask: I moved from holding the sides of the mask with my hands, to just keeping a finger over my noise until it worked just by tightening the mask to my head a bit. And that was all I needed: just blow air gently into the mask, think about that e-tubes opening reflex at the same time and the equalization happens! (i) Tightening the mask is key for me and I still need to wear my Superocchio tighter than before for hands-free equalization to work. (ii) “Warming up” of the ears felt important. All this happened while I was freediving several hours every day for quite a few days in a row and after a lot of e-tubes opening dry exercises. (iii) I noticed some “e-tube muscle” exhaustion on a couple of days where I worked really hard. You need to call it a day and rest after you notice this as equalization stopped working. Some talk about how the muscle can and should be trained… yes, but to a certain limit in my case. (iv) I still do not feel I am opening the e-tubes “well” at all. More than that, it is a feeling that I do a small opening and because my ears have “warmed up” the air from the mask achieves the equalization (need more training to confirm this). (v) It does feel different from Valsalva: it is a shorter, more brisk equalization where I notice more of a click in each ear. (vi) The first few feet down seem more difficult, it gets easier after 30 feet and again harder after 85 feet (as Valsalva also becomes harder because of approaching residual volume). (vii) General relaxation and stretching of the neck felt important so I did a lot of this at the beginning of each diving session. (viii) I always equalize pre-dive while on the surface and equalize early and often at the beginning of the dive. Sometimes, particularly at the beginning of the session, I need Valsalva to warm up during the first dives. (ix) I had no line so I do not know for a fact, but I think it should be very helpful and I would definitely set one up if you have the opportunity to do so. (x) One issue I still have to deal with is that I do seem to lose a bit of air, particularly at the beginning of the dive. Not the end of the world, but clearly something that I would like to improve on. (xi) If a big, strong yawn on a plane does nothing to your ears, it might mean hands-free equalization is off-limits for you. Not sure, but there is plenty of commentary that not everybody can equalize this way. (1) Be incredibly careful when you dive and listen to your body and err always on the side of caution. If in the slightest doubt/pain, turn back and go to the surface. (I understand this is not the way professional freedivers should think, but hey if you are one of them you probably do not need to be reading this post anyway?). (1) One again yes: Think at all times that your foremost obligation, way above anything else, is to do everything you can at all times to go back to your loved ones (something we never should stop repeating ourselves: it just sets us in the right mindset in my humble opinion). (1) One yet again, hopefully you see a pattern by now: just be extremely careful please. (2) Do not try any of this unless you are an experienced freediver. My only claim about the steps described is that they worked for me. Perhaps they do not work for others, you can/will get hurt, etc. (3) I understand what I describe here is not by any means the pure or classic BTV: I simply have found a way that allows hands-free equalization without a noise-clip which is what I was after. That’s all. Any comments are as always very welcome. If I can help further, I will certainly try. I can second this. For me the hands free works in the same way. When it works the dive feels 2 times more immersive and beautiful. I remember my CNF dive at the WC in Sharm where handsfree worked all the way to the plate (42m). This made the dive one of the most enjoyable dives in my memory! Putting my hand on my nose feels artificial and interrupts the feeling of freedom.  a question from a newbie to freediving. Would noseplugs work worn under a mask? I have gotten fairly good at Frenzel in the past 6 months, but I wish I didn't have to put my hands up to my nose to do this. it would be much nicer if I could equalize w/o the use of my hands! oops...I should have said "noseclips" rather than "noseplugs"
No it would not work. Your depth would be limited by mask squeeze, because with a solid noseclip you cannot equalise your mask. My advice it to improve your Eustachian tube flexibility and muscles, and learn to equalise using the techniques above. You can add diving feet first, with a tighter mask doing Frenzel AND the ear clicking movement. When this becomes reliable you can try doing the same horizontal and lastly going head first vertical. @marquezdl: the only way this works is if you use fluid goggles. These are goggles that are filled with water (saline solution) that let you see underwater (not good for snorkeling but enough for line diving) and you combine that with a nose clip. What is the deepest dive you've done with this hands-free technique? Thanks for sharing Santiago. Having tried and failed to develop BTV so far (dry - no problem, wet - no chance! ), I am very excited by point four. I'm sure with enough pressure I can equalise against the mask.,then it's just a case of reducing that presure... can't wait to get in the water now!... Thanks for re-inspiring me! - it helps to keep the tubes 'straight'. Like a hose-pipe, any bend will obstruct the flow of air - relax the neck and keep the head in a neutral position. - You mention valsalva a few times. Are you learning to frenzel? Here's the easy version: instead of squeezing the belly when you valsalva, puff out your cheeks like a hamster, keeping the belly and chest completely still and using just the mouth/tongue. - Everyone's eustachian tubes open and close regularly to drain fluids from the middle ear. So we can ALL do this, potentially. Some thoughts/answers in case someone picks this post. FreediverXph: I think deepest has been -33m in my case. My impression is that the technique will fail when you run out of air to equalise the mask. I am no expert but I believe at that stage only the mouth-fill gets you going. Siku: My impression is that my limit is not equalisation driven. I almost never have the safety measures I would require to go deeper anyway. I would definitely like to learn Frenzel as backup just in case, but I am stuck with the uncoupling of the soft palate and epiglottis. Have tried a bit in the past, but no luck so far. In general I believe that if you can do dry BTV, the pressure from mask should get you the "wet". That was definitely my main block: not being able to move from dry to wet and the pressure from mask approach got me there. What does "BTV" stand for? Some people also talk about VTO from the English (voluntary tubal opening). So I'm sitting here at my computer trying this... and I think I might have it! I can hear my ears pop and the "roar". Now can't wait to get in the pool and try it. I am trying to have vto but i dont know if i had it! İ dont know the feeling , i think it is diffrent from frenzel. Am i correct? İ hear a little click when i try it but i am not sure if it is enough for equalization? And one more question , because vto is negative equalization you dont apply pressure trough your middle ear like frenzel am i correct? I am just trying to open the e-tubes. Sorry for my bad english , if someone can help i will be apriciated , dive safe. OP thanks for posting your experience. Back pressure from the mask is definitely not neccessary for handsfree although for some people it does seem to be. It can be done with no mask or noseclip but we cannot rule out backpressure from the water itself. If you combine the voluntary control to open the etubes with the throat and jaw work of a Frenzel it can be more effective when approaching residual volume, and past that point it is possible to use mouthfil and handsfree together, although it may be difficult to maintain throat lock while opening the etubes (something all natural handsfree divers seem to struggle with). On the 72M CNF video on my youtube channel I was doing handsfree all the way to the plate. And as the OP described, relaxation and rhythm are very important... when diving on my own rhythm, even if diving very, very aggressively I can do thousands of drops and never touch my nose but frequently when teaching (and going off my students' rhythm) my ears get sticky and I have to Frenzel, particularly when we are shallow and they are stressed. Please check out Adam's Stern latest YouTube video about BTV. It helped me a great deal and thanks to his explanation I feel that I am breaking true the final barrier to make hands free equalization work for me on every dive. By the way I am not naturally gifted to eq hands free, I learned true dedicated practice over the last year.